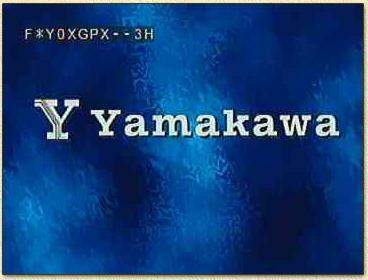 WeetHet - Video - Yamakawa - Which firmware version is my Yamakawa using? What version of Firmware is my Yamakawa using ? The Yamakawa player, as most electronics with audio and video in your home, is running an embedded operating system, called firmware. Firmware is a piece of software helping you to control the player. If you don't know what you're doing, you probably should not fool around with it. It won't harm the player however to take a peek at the version information of the player. For a brief overview of the history of firmware versions, please a take a look at the bottom of this page. Updating your Firmware is explained on the Yamakawa Update Firmware page, where you can also download more recent firmware versions. "SETUP" - "SLOW" - "SKIP LEFT" - "3"
A little piece of funky code isn't it? I'll try to explain what it all means. A brief overview of available firmware versions can be found in the tables below. Keep in mind that there are 4 models - the 713 and 715, with or without Scart. De abveration BT and CS stand for the chipsets used. Players without SCART use a BookTree chipset (BT-865A) and players with a SCART use a Cirrus Logic chipset (CS-4955). LOOPHOLES - Trick in the setup menu to disable MacroVision and adjust Regiocode. CTS FIX - Older firmware versions had trouble with Columbia TriStar DVD's. MINI DVD - A CDR or CDRW with a DVD structure on it (the playback time will be much shorter!) created with software like DVDiT!. SMART NAVI - Yamakawa's new navigation system, i.e. 3D menu's, icons, random MP3's playback, etc. For the Raite RDR-202 DVDRom, a DVDRom-firmware update might be required ! It is still unclear how many 3H variants exsist. Updating SEG-firmware is very risky and unstable. It is very well possible that this is due to a bug in the write-routines. There are several patched firmwares out there that are not mentioned here. So how can I be sure that the player I'm going to buy has the right firmware? The best solution is the remote control code, as descibed above. Since you want to see the player in action before you buy it, it seems reasonable to test this right away. Alternatively, you can peek at the label on the box and on the player. Above the bar-code you will find a serialnumber and a firmware version code. For example, mine has a frmware code 2.6H and a friend of min has a code 3.1H. It is still possible that they have changed/updated the firmware anyway - check the remote control trick to make absolutely sure. NEVER buy a player with a firmware code below 2.1g ! These are not updatable by simply inserting a CD, the must be manually "flashed" by Yamakawa. Updating your Firmware is explained on the Yamakawa Update Firmware page. 1. The player will SWITCH ITSELF OFF AUTOMATICALLY after an update, so don't do this manually! 2. If you damaged the player by a wrong update, Yamakawa is willing to repair this for a very fair price (about $40-$50), however, it's still a waste if money! You will need to contact the German company called Seditec.